"41HS3, 834, Burial A-63" by Timothy K. Perttula and Robert Z. Selden Jr.
Ripley Engraved, var. Carpenter-Hodges Engraved, cf. var. 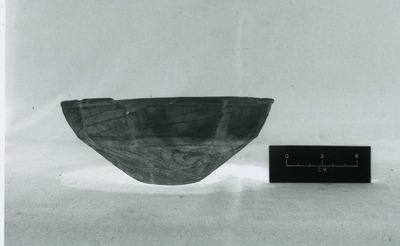 Kelly’s Lake carinated bowl (No. 834) in Burial A-63 at the H. R. Taylor site.